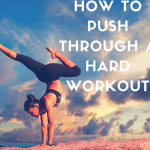 Achieving tight, toned abs may seem like an insurmountable task, but this goal can be accomplished by following either P90X Ab Ripper X or INSANITY Insane Abs. Ab Ripper X is included with Tony Horton’s P90X fitness DVDs and Insane Abs is included with Shaun T’s INSANITY Deluxe fitness DVDs. Awesome abs are not impossible, anyone can get them, it just takes commitment, know-how, and a good fitness program to follow. So which one should you do to get great looking abs? Both Ab Ripper X and Insane Abs will push you hard, make you sweat, and feel like torture! For both fitness programs, your abs will burn and you may not even be able to complete each exercise when you first get started. But if you stick with either program, you will feel great and love your new set of abs! Read my reviews of Ab Ripper X and Insane Abs. Let’s take a look at the difference between Ab Ripper X and Insane Abs. P90X Ab Ripper X is 15 minutes of intense abdominal exercises. On starting, you launch right into “In and Outs”, the first of 11 abdominal exercises at 25 repetitions each. Each exercise is performed on a mat and there are NO breaks. With Ab Ripper X, you will do ab exercises that are most likely familiar to you, like Seated Bicycle, Crossed Leg Wide Leg Sit Up, Fifer Scissor, and Oblique V-Ups. Tony Horton saved one of the hardest exercises for last, Mason Twist. So after feeling your abs burn like crazy and wishing you were finished, you get to do 40 more repetitions! The time goes fast, Tony explains each exercise and is easy to follow. He also makes it fun and is motivating. Click here to order P90X WITH AB RIPPER X – $119.85 – Shipping costs less! INSANITY Insane Abs is 33 minutes of taking your abs to new levels that you never knew existed! On starting, you launch into a standing up warm up that will test your physical abilities! You can expect a full 5 minutes of cardio such as running in place with high knees and adding an upper body twist, and plyometric moves. If that is not enough to tire you out, Shaun T. introduces Tuck Jumps, Power Jumps, and T-Kicks. The next set of exercises are performed on the floor and there is NO laying down .Can you balance on your buttocks with legs raised out in front and upper body at an angle (chest and head up)! That is the base position for the remaining exercises. You do exercises that are probably not familiar to you like Power Abs. Balance on your buttocks with legs bent and wide, upper body off the floor at a high angle. Now, bring your knees towards your chest and keep your hands in the air! Insane Abs core exercises will do you in. And it does not end there. Shaun completes the routine with Oblique Rotations and Low Plank Hops from plank position. Focusing hard on achieving each exercises makes the time go fast. Shaun T. explains and shows you how to do each exercise and is very motivating. Which one are you doing – Ab Ripper X or Insane Abs?